There are so many ways for groups to experience the Valley! We will show you where to begin, what to include and where to stop. Keep in mind the convenient location and ease of navigation in the Cumberland Valley. We are located in the middle of Hershey, Harrisburg, Lancaster, York and Gettysburg vacation region making it easy to tie us into your next stay. Cumberland Valley is also easily accessible from Interstate 81, I-76, I-83 and US 11/15. 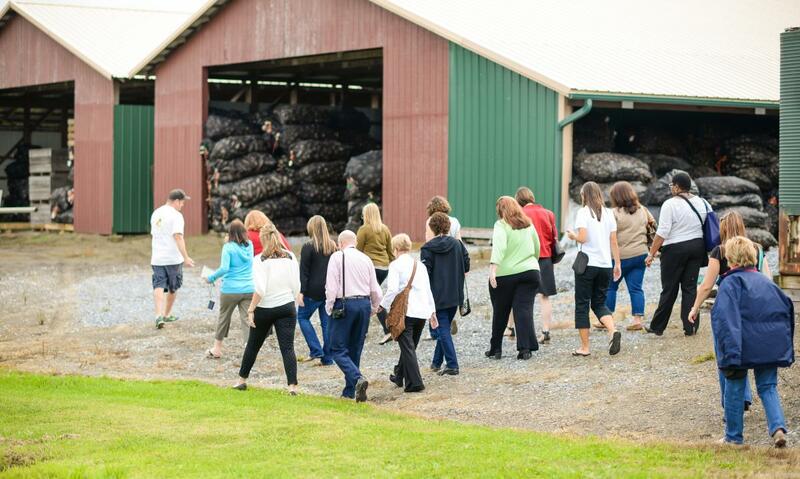 Explore the tastes of Cumberland Valley on a progressive dining tour. Experience the collection of Underground Railroad sites and stories in Cumberland Valley - we'll find you the perfect step on guide! Visit the only hiking museum in the country or the world's largest gourd-crafting company. Stay at the easily accessible and affordable rooms in Cumberland Valley as you travel out to the Gettysburg, Hershey and Lancaster outlets and Hollywood Casino and Penn National Raceway.